Co-op survival mode goes it alone. 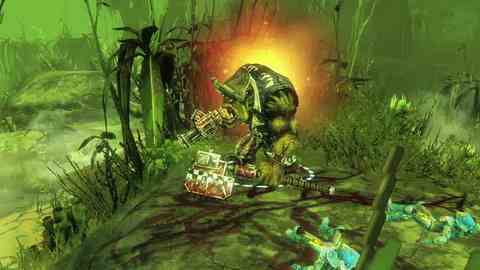 Warhammer 40,000: Dawn of War II: Retribution's Last Stand mode is available as a standalone download via Steam as of tomorrow, publisher THQ has announced. The popular co-op survival mode will be available for your local equivalent of $10 and you won't need a copy of any other Dawn of War title to play it. An upgrade to the full game will be available through the download at a reduced price. "We saw this as a unique opportunity to introduce new players to the Dawn of War franchise as well as expanding the player base for the already popular Last Stand mode," commented producer Jeff Lydell. The full PC strategy game launched earlier this year, scoring 8/10 from Eurogamer. "The tight, narrative flow of Chaos Rising may be gone, but in its place, there's enormous diversity, and more toys than you could possibly hope for in a £20, standalone expansion," wrote Al Bickham.